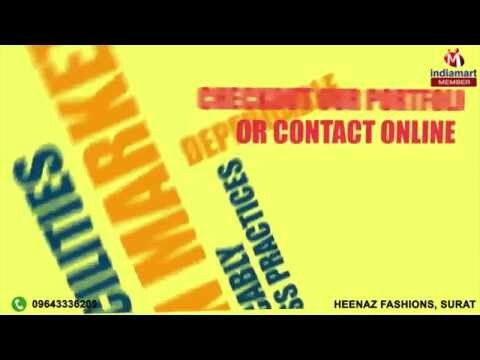 Welcome to Heenaz Fashions, established in the year 2014, we are the leading traders, manufacturers, suppliers and wholesalers of a broad range of supreme quality Ladies Apparels. The product range offered by us is inclusive of Anarkali Designer Suits, Anarkali Suits and Long Anarkali Suits. Appreciated among our customers for the purpose of their eye-catching appearance, aesthetic design, lightweight and vibrant color combination, these designer anarkali and printed suits are designed from quality assured fabric yarns. By using weaving mills and advanced tools, our designers and craftsmen design these suits in compliance with the prevailing market trends. Backed with a team of skilled and experienced designers, we have been able to cater to the precise needs of our valuable customers in the most efficient manner.